 Brain tumour ​symptoms are persistent and progressive. Surgery: The tumour can be entirely or partially removed, depending on its size, location and the risk involved. One advanced surgical procedure is awake craniotomy, performed while the patient is conscious. It is used to reduce the risk of neurological damage when the tumour is located in a critical brain region. “Surgery is the first line of treatment if the tumour, or part of it, can be safely removed. With current state-of-the-art technology such as advanced imaging, neuronavigation and intra-operative imaging, the safety of surgery has improved considerably,” says Associate Professor Ng Wai Hoe​, Senior Consultant and Head of the Department of Neurosurgery​ at the National Neuroscience Institute (NNI), a member of the SingHealth group. Radiation therapy: High-energy beams such as x-rays are used to destroy the tumour. Radiation therapy can be external (conventional radiation) or internal (brachytherapy). Radiosurgery: Multiple precision radiation beams are focused on a small area of the tumour to shrink it or stop it from growing. 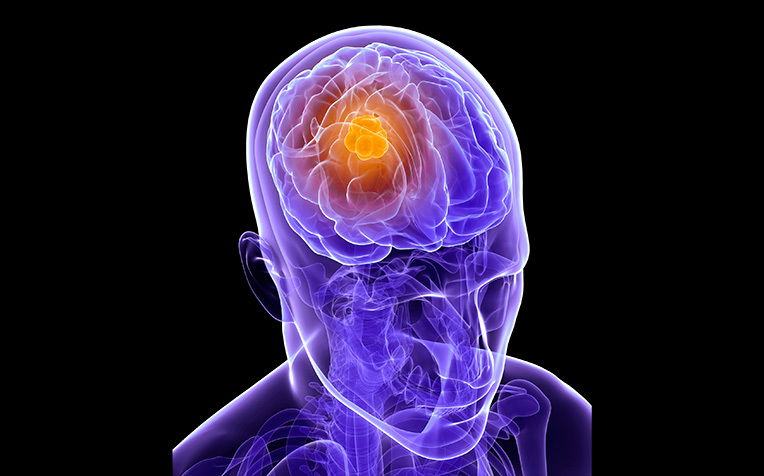 Radiosurgery is non-invasive and painless, and usually done as an outpatient procedure. Doctors at SGH have been using the Novalis Shaped Beam Surgery machine to carry out radiosurgery for brain cancer patients since May 2007. “This treatment is particularly suitable for high-risk inoperable brain tumours. As it spares the surrounding healthy tissue, it reduces side effects from 20-30 per cent to 1-2 per cent,” says A/Prof Ng. Chemotherapy: Drugs are administered in pill form or intravenously to destroy tumour cells. Targeted drug therapy: Drugs focus on specific abnormalities within the tumour cell to destroy the entire cell. These different brain tumour and brain cancer treatment methods can be used on their own or in combination. In some cases, such as a low-grade glioma which is not causing problems, treatment may not be required. The tumour may simply be left alone and closely monitored. Brain tumour treatment typically involves a multidisciplinary team of specialists, including neurosurgeons, neurologists, medical oncologists, radiation oncologists, dietitians, psychologists, nurse clinicians and physical therapists. Treatment for a brain tumour can have several side effects. These can range from fatigue, headaches and scalp irritation for radiation therapy, to brain damage in the case of surgery. Chemotherapy patients may experience nausea and hair loss, while those undergoing radiosurgery may have headaches and nausea. ​​Nose Cancer: Do You Know the Signs and Symptoms?